Here’s a cute idea I came across on the internet last Christmas – sorry, I don’t know where I saw it or whom to give credit to! First, print a sample of the Reindeer Stickers to make sure they will align correctly with your printable sticker paper. Next, print them onto your sticker paper and attach to your container. Then, you will need to make your own “Reindeer Spares” tag in a word processing program such as Word. Next, fill your container with red hots and seal the container with a piece of tape to avoid any spillage! and add a few inchesso that you can attach your tag…. You will probably need to use a little piece of tape to keep your ribbon in place. Now, stand back and take a look – isn’t it just too cute!!! 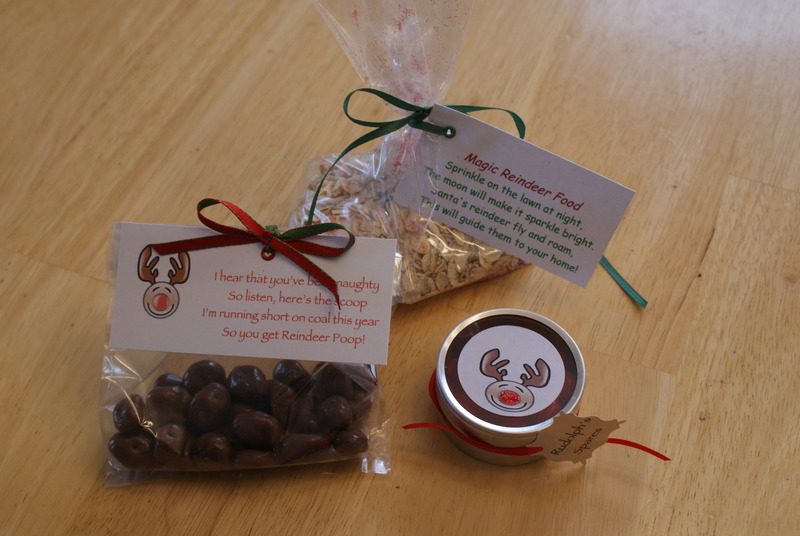 These make great stocking stuffers, party favors or small gifts!